It can be tempting to think that coming to Christ simply means giving Him a percentage of our time, talents and resources. 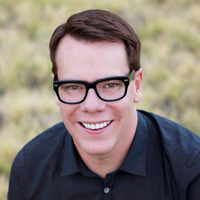 But as pastor and best-selling author Jud Wilhite explains, biblical stewardship means giving everything we have to Him. But as we submit to Him, the benefits go beyond anything we could ever imagine. Jud Wilhite serves as Senior Pastor of Central Christian Church. Central is dedicated to introducing people to Jesus and helping them follow Him.